Sunflowers come in a wide variety of yellow, red and golden hues. The “seeds” of the sunflower are actually little tiny flowers – on some varietals the seeds will actually open, while in plants with a dark center the seeds are closed. Sunflowers grow on hairy stems that are stiff enough to stand up eight to twelve feet straight. 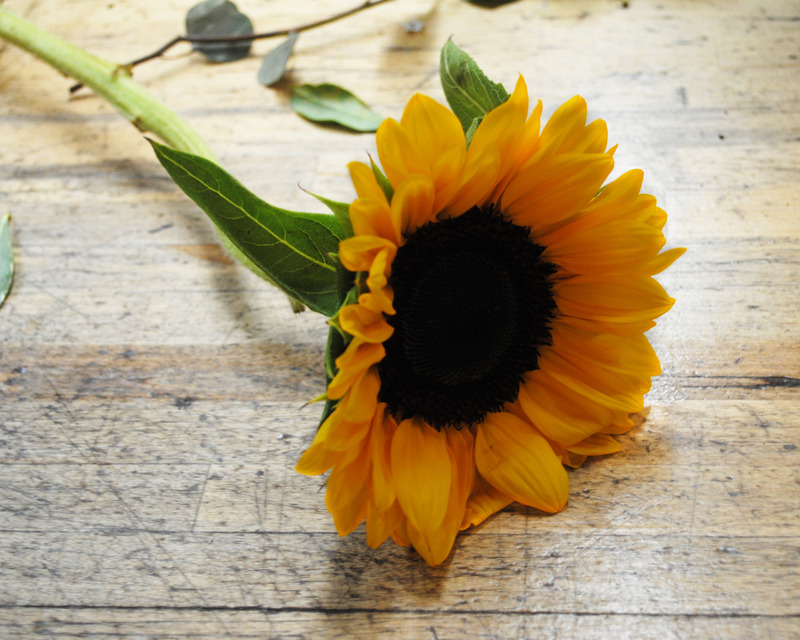 – Sunflowers are a great gift for celebrations of life – they’re great in baby shower arrangements. – The sunflower is the state flower of the US state of Kansas, and one of the city flowers of Kitakyūshū, Japan, and the national flower of the Ukraine. – Wild Sunflowers don’t look anything like their cultivated cousins. In the wild, sunflowers have many branches with small flower heads and small seeds.